My wife has a Surly Wednesday which currently is the stock model so has the 27tpi Surly Nates mounted tubeless on 80mm My Other Brother Darryl rims. I was doing a bit of internet shopping this morning and asked her if she wanted anything, the answer was "some lighter tyres for the fat bike"! We are heading to Lapland (yeah, yeah, Santa Claus and all that) next Feb for a race so the primary focus is that. There's also the possibility of doing another race in Norway. 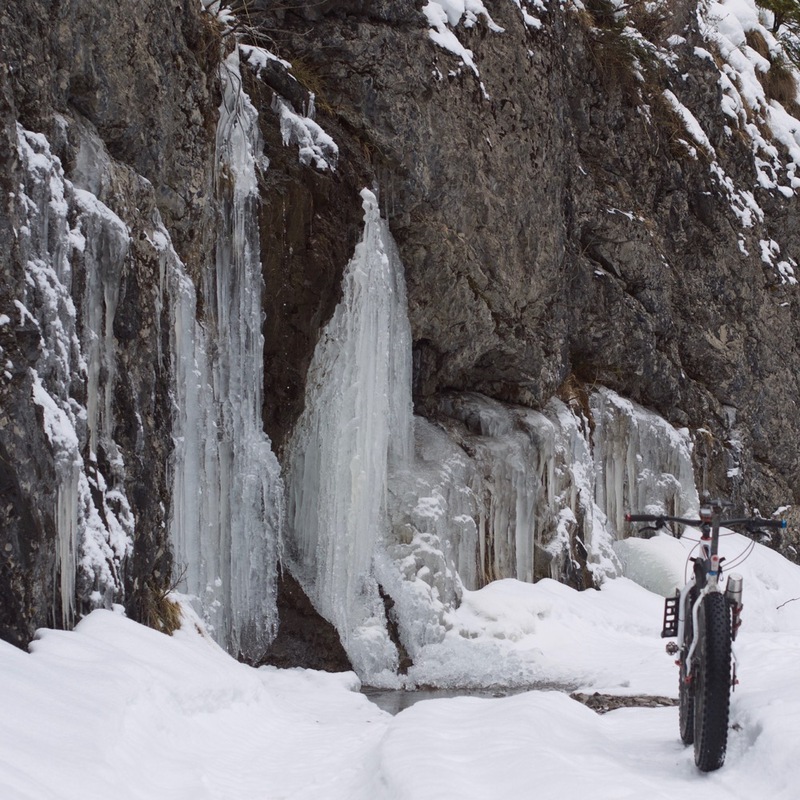 Outside of that our use of the fat bikes is intermittent. According to Surly the Wednesday can take a maximum of a 4.6" tyre which is kind of awkward as there aren't that many tyres in the 4.1" to 4.6" range, lots of 4.0" and plenty of 4.8" but ... The two that spring to mind given that I run 45Nrth tyres are the Flowbeist and Dunderbeist. They are very winter specific though, here in the UK we don't get months of lying snowfields or groomed trails so they'd be somewhat overkill for most of the time. Sticking with 45Nrth there's the Husker Dus, I've got a somewhat worn set of these for my bike, only 4.0" but seem decent if there's no snow (or mud) to contend with. The Vanhelgas (which I also have) are pretty similar to the Nates if slightly bigger but like the *beists a bit overkill if there's no snow. I run the Surly Edna (4.3) the whole year on my Mukluk, they are working fine in snow too. Thanks - for a sort of confirmation bias reply We settled on Surly Ednas, they are currently sat on the bedroom floor awaiting fitting.